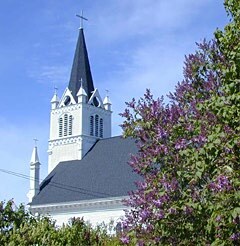 » Welcome To Mackinac Island! 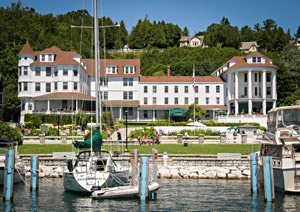 A trip to Mackinac Island is a journey to the best part of the past. Step off the ferry and you are immersed in a new world: horse carriages wait for passengers instead of taxis and families ride bicycles – yes, mom, dad and the kids, all together – through the streets downtown. 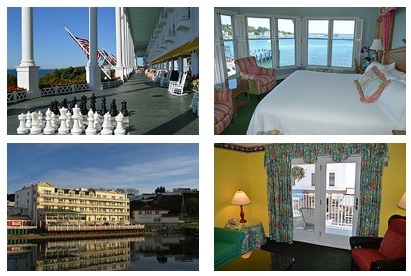 One of the best ways to visit Mackinac Island is to find a place to stay on the island and experience the entire day – from sunrise to sunset – and watch the lights come on in the evening. Our Interactive Lodging Map will help you find your favorite resort, hotel or historic inn, or bed & breakfast on Mackinac Island.